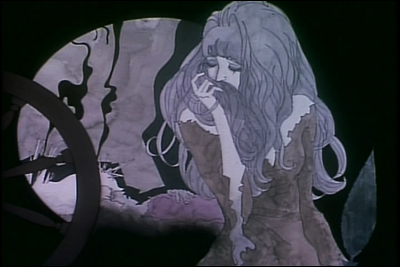 Belladonna of Sadness (???????? 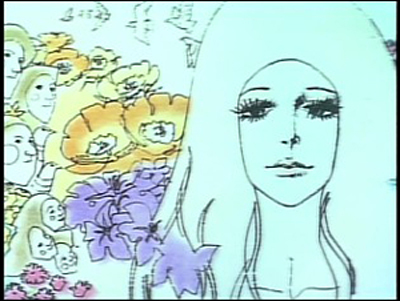 ?, Kanashimi no Belladonna) (1973) –an animated Japanese art house film by director Eiichi Yamamoto– is a rare and beautiful, though polarizing piece of avant-garde cinema. 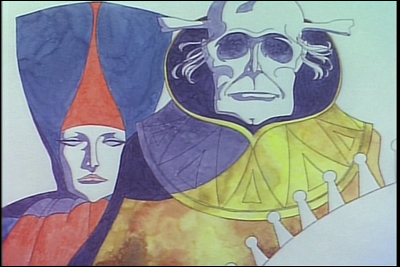 With striking visuals not unlike a Beardsley illustration or Klimt painting, it is more a fluid tableaux of watercolor elegance than actual moving animation. 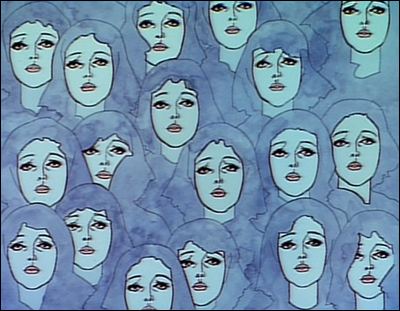 Despite the bewitching, breathtaking art, one never loses sight that it is a tragic story of unrelenting cruelty and despair. At certain points, it is an almost excruciating watch. 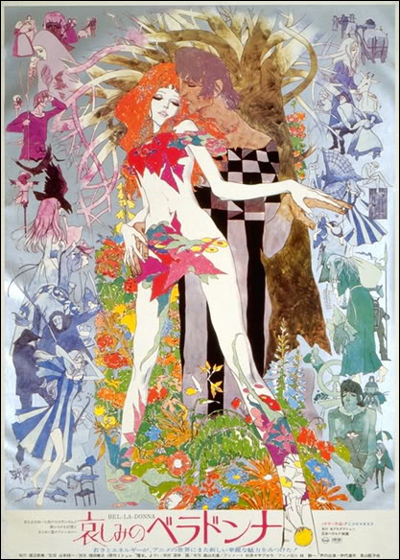 Is Belladonna of Sadness a misogynistic sleaze-fest, a surreal feminist empowerment message, or a stylistic gem of exquisite curiosity? Perhaps a baffling hybrid of all of these things? Repeated viewings do not make the question any easier to answer. Those fortunate enough to find a (subtitled) copy may judge for themselves; in the meantime, several film stills can be found below. Yep! S.E.’s on a roll today! Rawr!!! 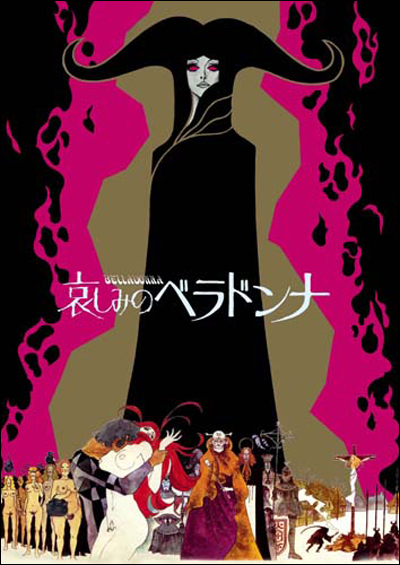 Roughly 48 hours ago during a historical overview presentation of such “erotica” animations, the footage from Belladonna was met with more bewilderment than any other film shown. I certainly wouldn’t recommend that anyone see it, but I can safely say there is no other film like it I’ve encountered. BELLADONNA was released by MUSHI?! HOLY FREAKIN CRAP!!!!!!! After reading this post I searched for it online and watched it and all I can say is WOW. This film was beautiful and heart wrenching. In some ways it’s inspirational. I am planning to watch this again right after I read that book by Jules Michelet. Just watched it at the above link. As a film student I’m glad I did, I think I learned something new about movies and what they can be. However I didn’t emotionally connect to it at all, which surprised me considering the themes. Daphne, that review was amazing. Hahahaha, thanks for linking that up!